Provide 24/7 security with the GT Series. Keep buildings locked and allow tenants to safely identify visitors. If there is an issue at an entrance, tenants can quickly contact security or the manager’s office. When a visitor calls in from the building entrance, the tenant may view and communicate with the guest to determine if they can be let into the building. Tenants may then easily unlock the door for guests. 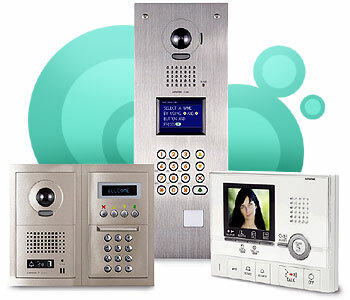 Make your building attractive to new tenants by providing convenient and easy-to-use security. Dual zone alarm inputs for security devices, such as window and door contacts or personal wireless pendants. Auto-alert to Concierge Station when alarm is triggered. Disarm and arm Suite Security easily with GT-2C. Loud siren to alert tenants and scare away potential threats.